Whether you keep guns in your house or not, it is important to make sure that you are teaching your children about gun safety. You just never know when they will stumble across a gun whether it was left out in the woods or in the neighbor's house. And, once your children become adults they will legally be permitted to own guns. In order to make sure that your children are protected and well educated on gun safety you will probably want to make sure that you are the teacher or at least supervising what is being taught. Right now, the big thing is the Airsoft gun. These are being used by adults and children as young as eight years old. Is your child ready for one? That will depend on a few factors. You will first need to make sure that your child is at the right maturity level in order to be allowed to play with the Airsoft gun. Also, you may want to consider purchasing one in order for it to be used as a tool in teaching your child about gun safety. 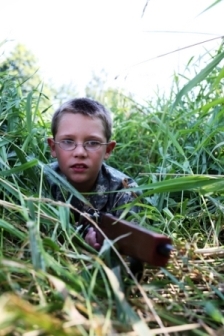 Is Airsoft Recommended For Children Under 16? Airsoft guns can only legally be purchased in the United States by individuals who are eighteen years of age or older. Even though a sixteen year old can purchase a more dangerous BB gun at the age of sixteen, this is the federal law. In either case, it is not so much about when someone is legally allowed to purchase the Airsoft gun as opposed to when he or she will be able to use it in a responsible manner. Many people out there state that children under the age of sixteen are not mature enough yet to handle the gun. 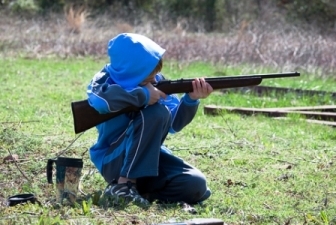 But when should a child start to learn about gun safety? When they are already in high school and possible exposed to such dangers? Parents are in control and it is up to the parent to decide when their child is at the appropriate age to play with an Airsoft gun. If you feel that you want your ten year old to use the Airsoft gun in order to learn about gun safety in a controlled way, then purchase an Airsoft gun. For those who feel this way, but also are concerned about safety you could always restrict the use of the Airsoft gun for when you are able to supervise the play or practice. The choice is yours of course and you should do whatever makes you feel the most comfortable. These guns are realistic looking. Many of them even have the same weight as the gun that they were made to look like. The only significant difference is that it is plastic pellets being shot instead of deadly bullets. Your children can get gun safety education with something that looks like a gun, feels like a gun, but is not as dangerous as a gun. When it comes to purchasing an Airsoft gun you will really need to have an idea of what you are looking for. Unlike the old fashioned BB guns, the Airsoft collection has a wide variety of guns to pick from. You will want to start with the Airsoft spring type and you want to make sure that it the best weight for the age of your child. You certainly would not want a gun that was too heavy for a small child to handle. There are three important rules that should be learned by everyone. 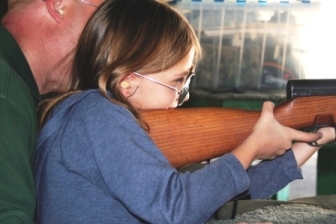 By teaching your children a few safety rules for guns, a life can be saved. That life could be the life of your very own child. One of the most important things is that the gun should always be pointed in a safe direction. Children must be taught to never point a gun at a person, even if it is a toy gun that was bought from the local toy store. All guns, whether they are real or fake, dangerous or not, must be pointed in safe directions at all times. Never place a finger on the trigger until it is time to shoot. The trigger finger should always rest on the outside of the gun until they are really ready to fire the gun. Guns are to remain unloaded at all times until they are being prepared for use. Children need to also know that since not everyone follows this rule, if they see a gun that is not theirs they must leave it alone as it could very well be loaded. In the end, it is up to the parents to make sure that their children understand the proper usage of a gun and the safety information that they need to know. And since television characters are getting shot all of the time with people laughing and magical healings taking place, television is probably not the place you want your child to learn about gun safety and gun rules! If the parents do not step in and teach the valuable lesson of gun safety, television shows and cartoons may instead teach your child their own version. Again, the choice is yours when deciding to purchase an Airsoft gun for your child(ren) and for specific reasons that are significant to your family. But no matter if you buy an Airsoft gun or not for your child, gun safety awareness should be foremost. 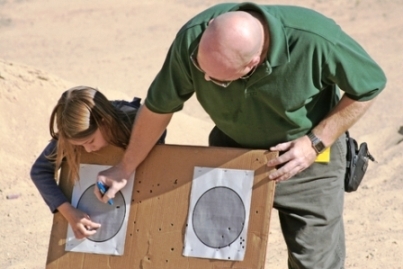 Do you play Airsoft with your child or children? How do you enjoy it? Tell us about it! If you have any additional tips for parents, please type them here also (below) for others to learn from! Thank you! How do you enjoy it? Tell us about it! Also, if you have any additional tips for parents, please type them here (below) for others to learn from! Thank you! Do you have a family airsoft picture to add? Great! Click the button and find it on your computer. Then select it.